A simple cache to mark a cracking view point. If you only take one photograph in Guernsey you'll likely want to take it from this point at Belvidere. you can look out over the town of st Peter Port and North towards St Sampsons. 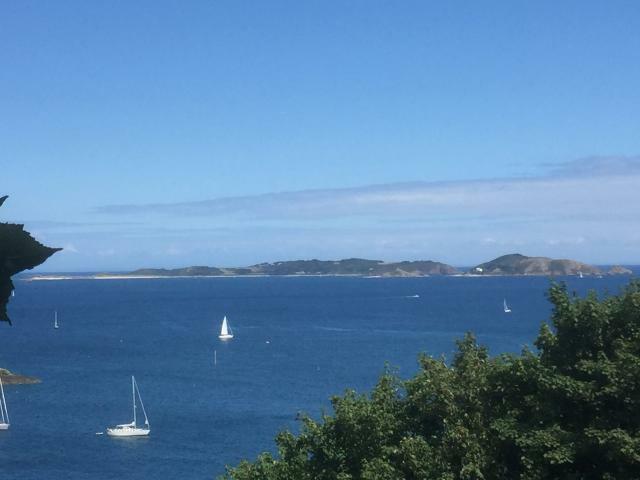 To the East you are looking across the Little Russel over Herm, (and Jethou to the immediate right of it). 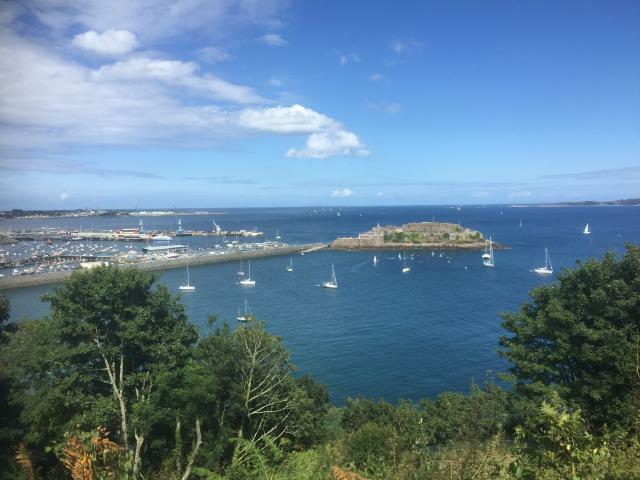 The castle in the centre of the view is Castle Cornet, well worth a visit to learn about some of its 800 years of military history, it used to be an island, but now it's connected by a substantial causeway that also forms a large part of the harbour wall. you will likely see many boats, ranging from the fishing boats and pleasure craft, up to the ferries, huge Cruise ships and naval vessels of British fleet as they patrol British waters. This is a view that is always changing. W 02° 32.023' Parking location.